Once your proposal is approved, the real work begins. You’ll have to plan, schedule, manage resources, monitor progress and report back to your sponsors. To do this efficiently and productively demands a robust and dynamic project management tool. 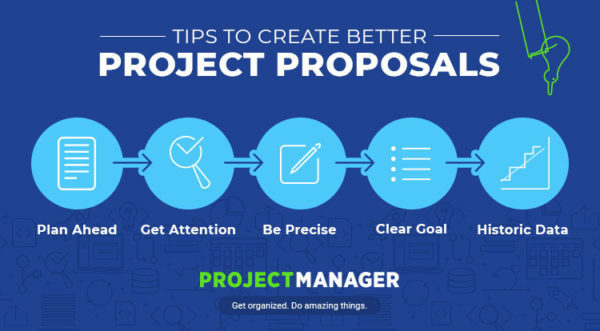 ProjectManager.com is online PM software that gives you real-time data to take that proposal and guide it to a successful conclusion. Try it for yourself and see, with this free 30-day trial.